Counter sheet, two 4-color maps, and rulebook in plastic box with a cardboard slip-cover. Ogre/G.E.V. is a tactical ground combat game set in the late 21st century. In 2085 A.D., armored warfare is faster and deadlier than ever. 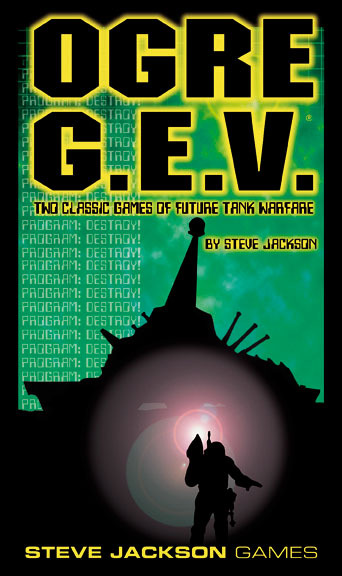 Hovercraft, tanks and infantry slug it out with tactical nukes. But the most feared weapon of all needs no human guidance. It's the giant cybernetic tank called the Ogre.